Need to study for a final? Doing research for a paper? Is there a novel you want to read? In this age of tablet PCs, smartphones, and e-books, it seems easy to forget a simple, free solution to each of those questions exists – the local library. Goleman Library has aimed to change that over the past week, with its celebration of National Library Week. With a book sale, multicultural book readings and raffles, Goleman Library hosted a week of events aimed at raising awareness and interest in the campus library. “We’re trying to help our students…We’re trying to get information out, gather support for the library, and raise awareness of the library,” said Dr. Jun Wang, Delta College’s senior librarian adviser. 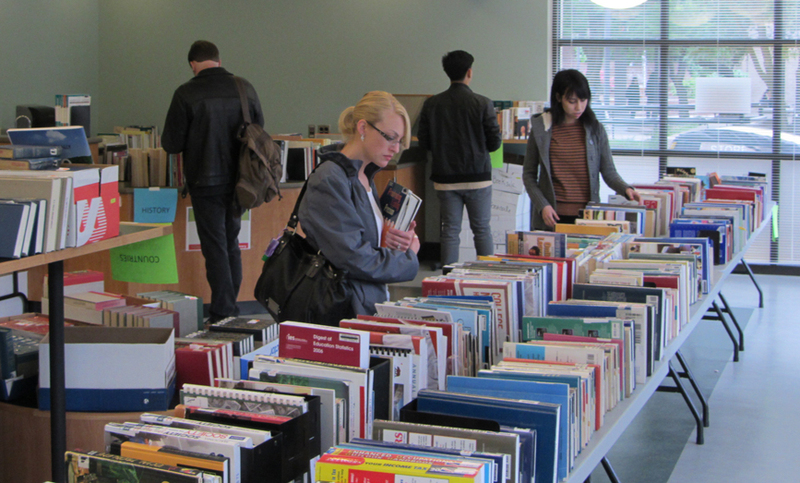 CELEBRATING WORDS: Delta students peruse the book sale on the first floor of Goleman Library. PHOTO BY CHRIS HOWZE. Through this week, books were on sale on the first floor of Goleman, ranging in price from .25 cents to $1, with reference volumes available for up to $8. Books ranged in topic from computer science to law to career information. On Thursday, the books were available in grab bags priced at $1 each. Alpha Gamma Sigma members helped staff the book sale. Kassandra Gassele, one of the AGS members present, said the event seemed to gather quite a bit of interest. 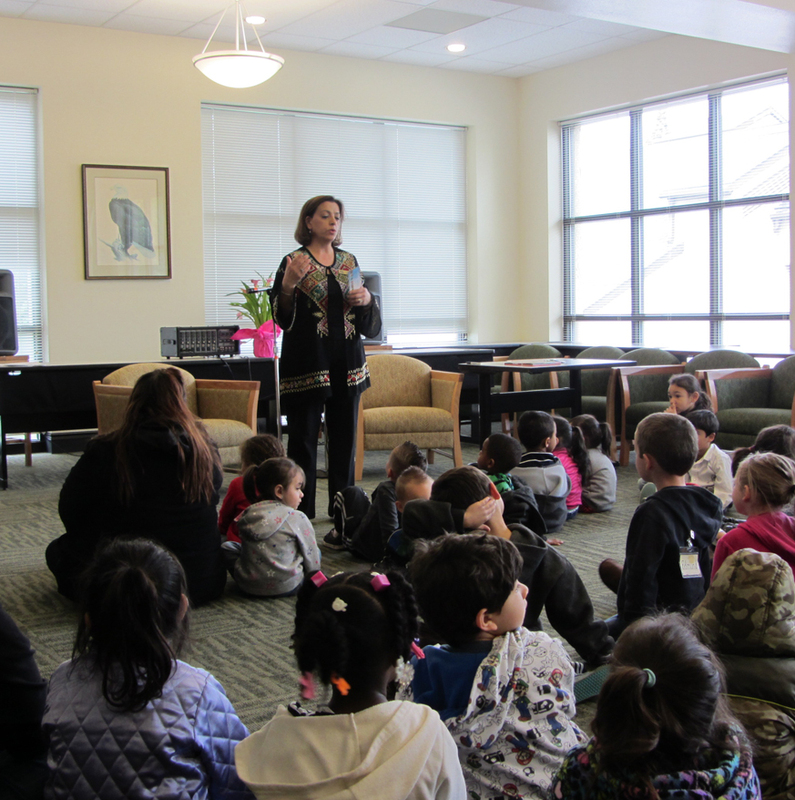 Starting Wednesday, multicultural storytelling presentations were held as well, with literature from many different cultures being presented to Delta students and children from the Child Development Center’s daycare. Many of the presenters were library staff. Wang demonstrated Chinese calligraphy, while Amal Elayyan, a librarian, presented samples of Arabic literature. A membership drive was also held throughout the week for the SJDC Friends of the Library. Students could join for $5, and faculty for $10. New members received a two-gigabyte flash drive. Membership will still be available after National Library Week is over. For more information, contact library services at (209) 954-5139.